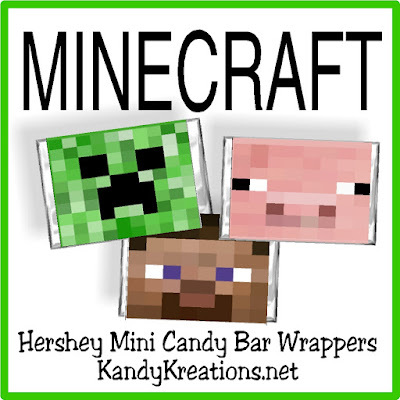 Have fun with these candy bar wrapper printables perfect for your next Minecraft birthday party. There's nothing like a little chocolate to help you play and have fun. I wanted to share a quick printable today with you. I've been rather busy trying to get some family things done, so I haven't had much time to print and create, but I did want to share these mini candy bar wrappers so you know I'm still around and kicking. 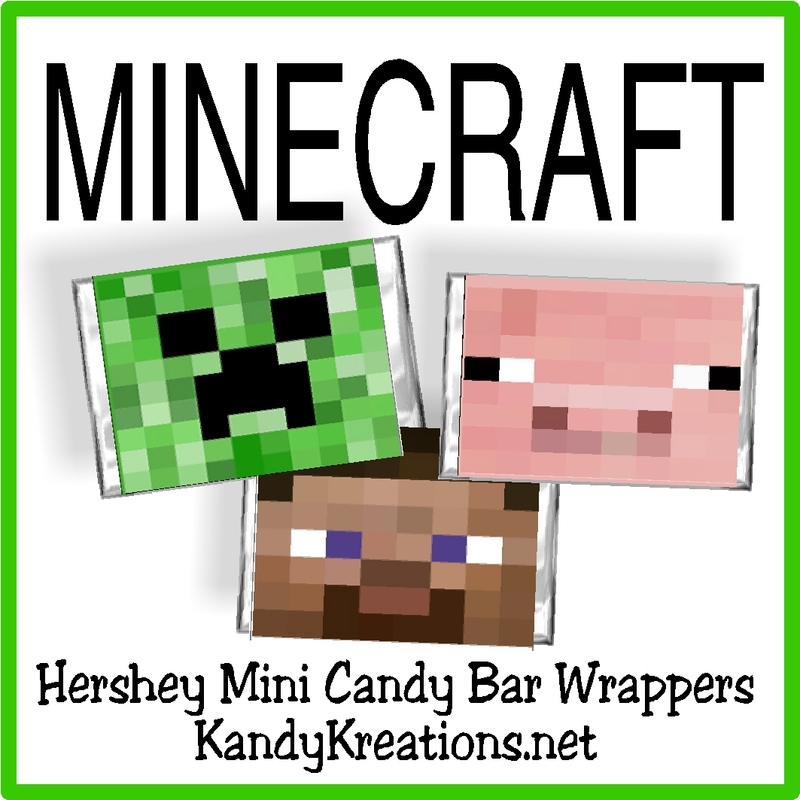 These wrappers are designed to fit the Hershey miniatures and to look like faces from the Minecraft game. 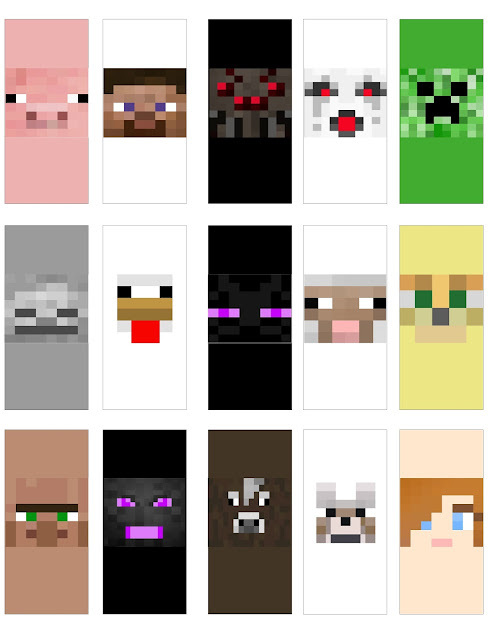 They are a quick and easy decoration for a Minecraft party or fun afternoon of playing computer games.